That's why we were especially excited to find out that the street art that made us stop in our tracks in Silver Lake, CA, was actually done by a Philly-based artist. We had to learn more. Meet Amber Lynn, otherwise known as Amberella. 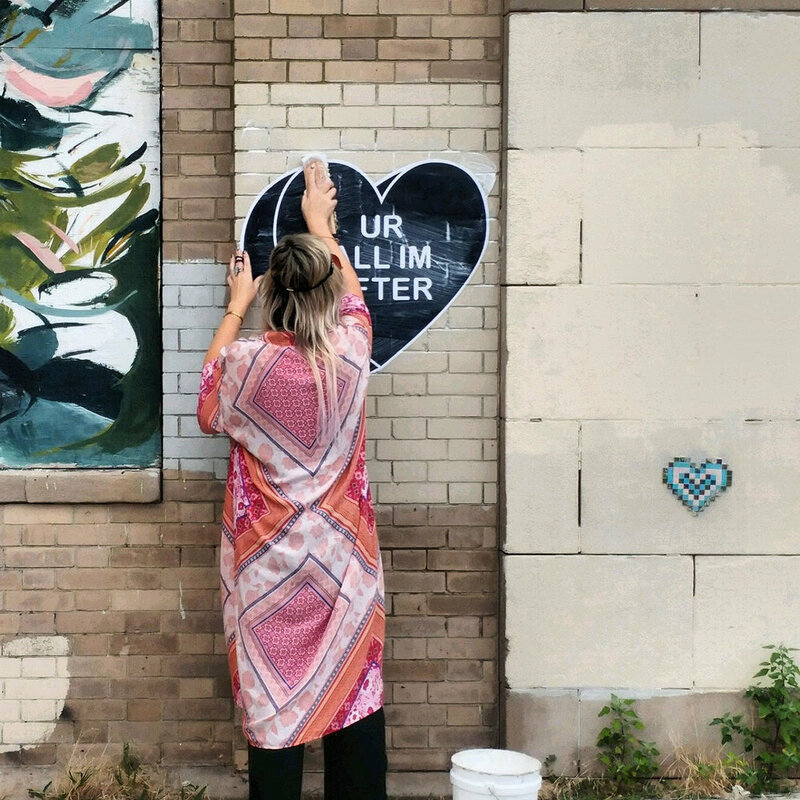 She's a woman on a mission to create street art that makes you think, feel and remind you that you're not alone. Danielle: What made you want to bring your art to the streets, instead of only having it on display in a gallery? D: Which work is your most popular? Which one do you get asked about or approached about the most? D: I actually stumbled upon your "keep going" art on a street in Silver Lake, and then my friend Corey (also from Philly) told me it was your work. It was just the message I needed to see in that exact moment. Do you ever find yourself revisiting your art, in order to help you through different situations as they come up in your own life? I'm forever revisiting work and reworking bodies of work and combining work, based on whatever is happening in my life. What's been really interesting? At some of my darkest times -- little do fans know -- their photos of my work that they have tagged me in have lifted me at just the right moments. Follow Amberella on Instagram and check out more art on her website! For more of The Opinionated: Features, check out Shéila's story here. Know someone who we should interview for our next The Opinionated: Features?